It’s been a quiet week. Kids are busy with school. I’m trucking along at home, knitting every chance I get and catching up on TV shows like Psych, Rizzoli & Isles and re-watching old favourites on DVD. This weekend is going to be busy because my favourite TV shows are coming back for a new season. Supernatural, Fringe, Glee…oh how I missed them all! 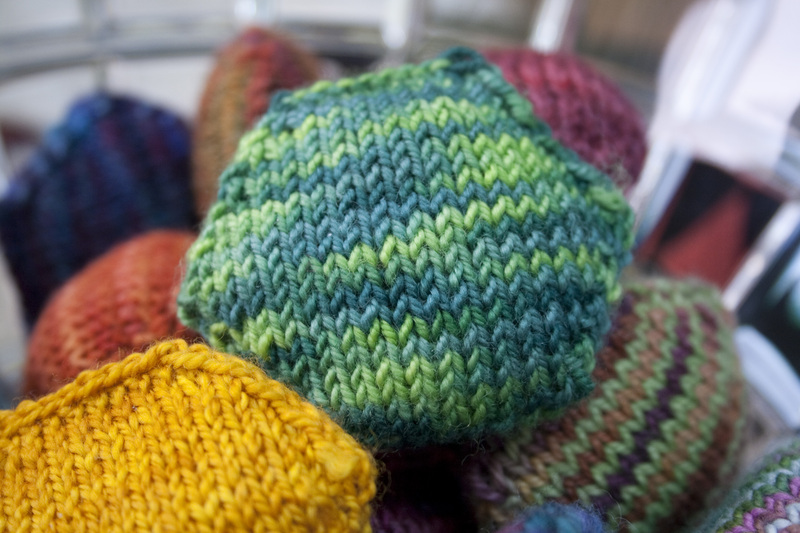 But first, some knitting news. I read somewhere that some people have sock burn-out. Huh? How? Well, I suppose it’s an acquired taste. Some people knit nothing but scarves and are happy with it. I like variety, otherwise I’d be sticking my knitting needles in my ears and eyes! My WIP pile is proof of that. But I am slowly making progress on that pile and here are two that made it out on the other end. Cables. Yum. I cheated here and used a cable needle because I could not risk dropping stitches. There is a minor error in this pair of cabled socks which turned out to be a blessing in disguise. 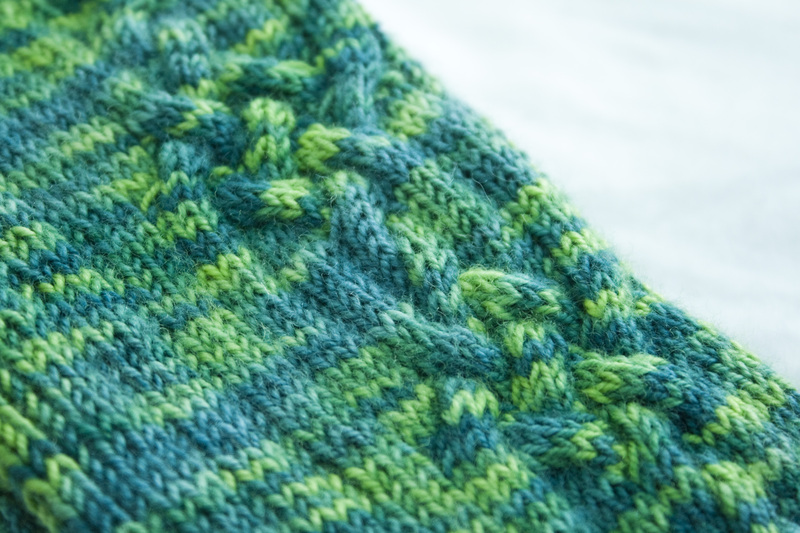 If I had kept the cables as per the pattern, I would have run out of yarn! I have long admired and queued this pattern but it wasn’t until fellow Amira Charmaine posted her version of it that I juggled my queue and pushed this up front. The cables are supposed to stay the same on both socks but a sudden case of OCD made me reverse the cables on the right sock so that we get symmetry. It got a bit tricky at the very last row of the chart but I think it went alright. 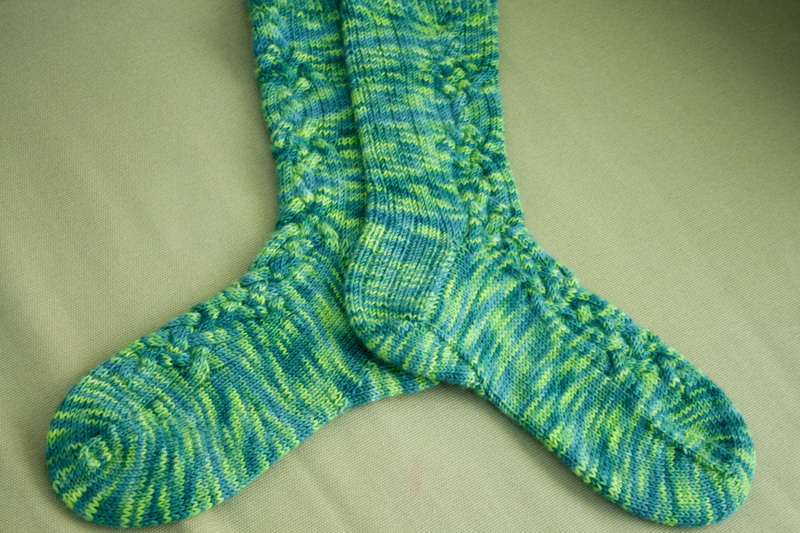 I adjusted my socks by putting the gusset decreases at the bottom of the foot therefore creating the perfect fit. The toes were done in gradual decreases instead of every other row as per your usual wedge toe. 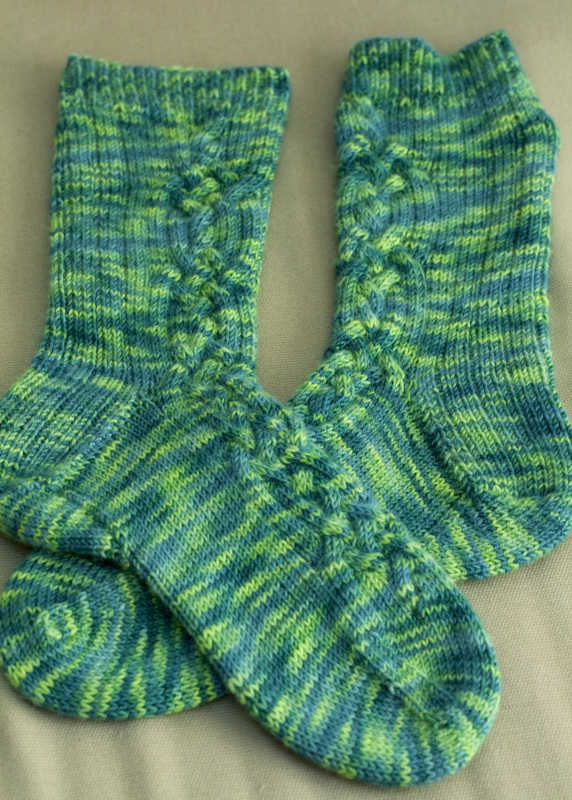 I love this pair but would like to make another one with a lighter yarn. Don’t get me wrong! I still choose STR over any other sock yarn for socks but I’d like something lighter, maybe Tosh Sock or Sundara. I had 13 yards left after casting off the socks and could not resist but knit a hexa puff out of the leftover right away. Just to put my mind at ease that there is enough to make one. Phew! 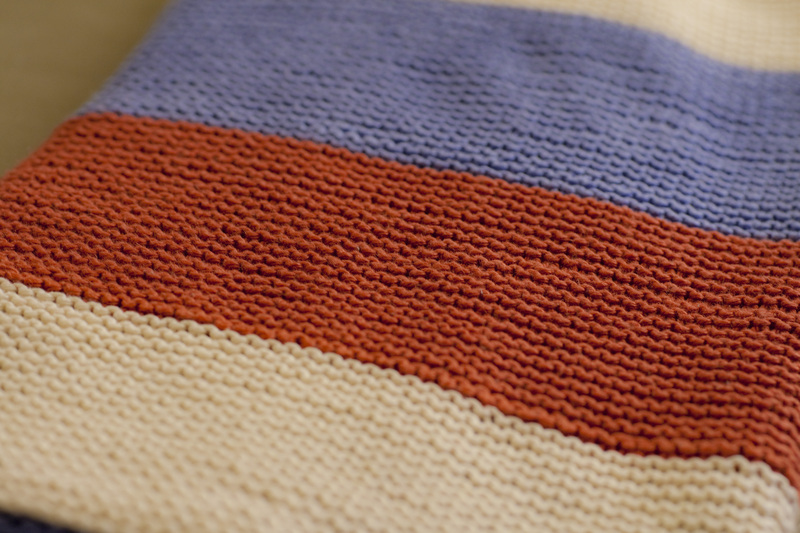 One more proper sized FO is my garter stitch Red, White and Blue blanket. It’s soooo scrumptious! I used to diss Knit Picks yarn but having done a few projects for Nash using a variety of them makes me appreciate them more. This is Shine Sport. The pima cotton in it makes it so soft and smooth. Perfect for garter stitches! I bought 7 skeins of each colour a while ago with the aim to knit a log cabin blanket. 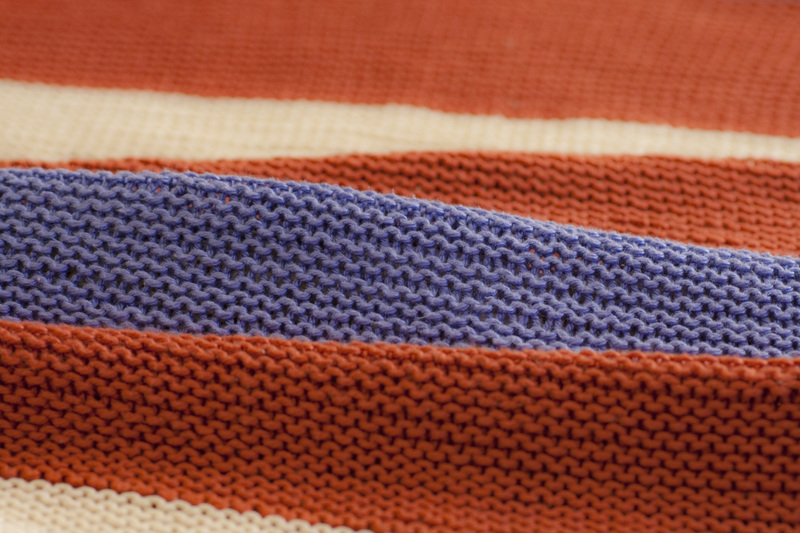 That obviously has not gone well but after seeing a few projects using this simple and free pattern, I decided this is the best way to knit up my Shine Sport stash. The waves of garter stitch ridges makes for a smooshy blanket which I can drape over my legs while I sit and knit on the couch. Or if one of the kids happen to fall asleep on the couch while watching TV, I can drape it over them and keep the cool AC at bay. It’s easy, mindless, gratifying and pretty. Win! Love, love, love those cables! 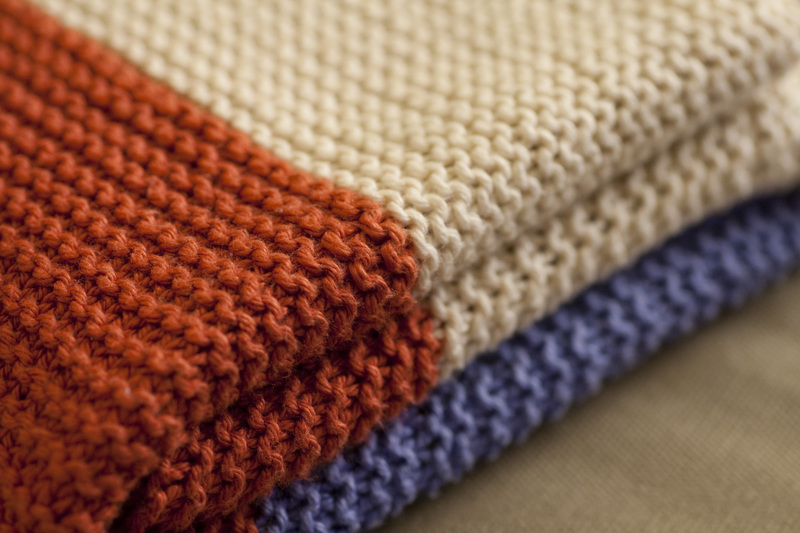 I love your squishy garter stitch blankie, perfect for cuddling!